The past century has seen hundreds of reported apparitions of Our Lady all over the world. And while the Church remains extremely cautious and deliberate when it comes to evaluating the veracity of these reported Marian apparitions, one thing is clear: that we are living an extraordinary age of Mary, where Our Lady is person ally intervening as a concerned mother in the affairs of her children. 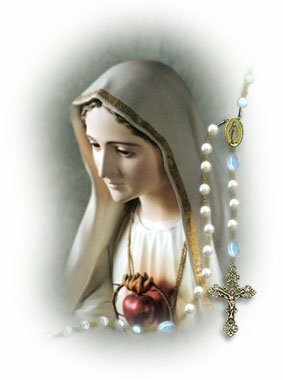 This section contains comprehensive, well-researched articles on the Virgin Mary’s reported apparitions all over the world. The last century has seen so many apparitions of the Blessed Mother but it is the apparitions in Fatima, Portugal which stand out because of the grave messages to mankind. This article summarizes the memoirs of the late Sister Lucia of Fatima, visionary in Our Lady’s apparitions in Portugal in 1917. This article is a concise summary of the key messages of some important Marian apparitions. Full text of the November 12, 2009 decree of Archbishop Arguelles regarding the alleged apparitions of Our Lady of Lipa. This is the beautiful story of how a rich couple who had no children made the Blessed Virgin Mary, Our Lady of the Snow, their heiress. The apparitions of Our Lady of All Nations have already been formally approved by the local bishop of Amsterdam. The charming story of Our Lady of Guadalupe, dramatized by popular author John Steinbeck. More than six decades ago, the Philippines was enraptured by the Lipa apparitions of Our Lady to Teresing Castillo. What has happened to the visionary after all these years? This is a complete account of the beautiful story of Our Lady of Guadalupe. This is the story of the apparitions of Our Lady of Medjugorje. Science has proven beyond reasonable doubt the miraculous origin of the image of Our Lady of Guadalupe in Mexico. This is a concise overview of the apparitions of Our Lady of Lasalette. The apparitions of Our Lady of Fatima stand out among all the apparitions of the Virgin Mary in terms of drama and impact. In her apparition in Guadalupe, Mary appeared as a pregnant woman. It is because of this that Our Lady of Guadalupe is widely regarded as the Patroness of life and Protectress of the unborn. Four years after the declaration of the dogma of the Immaculate Conception in 1854, the Virgin Mary called herself the "Immaculate Conception" in Lourdes. A priest reflects on the apparitions of Our Lady of Lourdes - its significance to our lives as Catholics, and its importance to his own personal life as a priest. Excerpts from the messages of Our Lady of Akita to Sister Agnes in Akita, Japan. The apparitions of Our Lady of Akita in Japan were validated by scientific findings on the tears that oozed out from the eyes of her statue - the tears were studied and proven to be human tears! In her apparition to St. Simon Stock, Our Lady of Mount Carmel promised that those who die wearing the brown scapular shall not suffer eternal fire. Excerpts of the official Church proclamation on the apparitions of Our Lady of Akita. One of the relatively unknown Marian apparitions is that of Our Lady's appearance in Rwanda, Africa. Proof of the apparition is in Our Lady's warning and prediction on the Rwanda Genocide. Comparison of the apparitions of Our Lady of Akita, Our Lady of Fatima, and Our Lady of All Nations in Amsterdam. The apparition of Our Lady of Knock is unique from all other Marian apparitions because no word was spoken by Mary: hence, the apparition is called the apparition of Our Lady of Silence. The messages of Our Lady of All Nations contain profound prophecies and admonitions for our current, difficult times. The Church-approved apparitions of Our Lady of All Nations has spread all over the world. At the heart of the apparitions is Our Lady's request that a fifth and final Marian dogma be declared. Chronological sequence of events of the Catholic Church's response to the apparations of Our Lady of All Nations in Amsterdam - eventually leading to the landmark declaration of authenticity in 2002. Our Lady of All Nations explains the image, as given to the seer Ida Peerdeman, and the prayer. This is the story of the Church-approved apparitions of the Virgin Mary in Betania, Venezuela. In the apparition of Our Lady of Banneux in Belgium way back 1933, the Virgin Mary called herself the Virgin of the Poor. In the alleged apparitions of Our Lady of Lipa in the Philippines, the Virgin Mary called herself Mediatrix of All Grace. This article summarizes some of the key messages of Our Lady in Betania, Venezuela. Charming story of how in 1603 a fisherman in a small town in the Philippines caught an image of the Virgin Mary in his net, eventually leading him to see a vision of Our Lady of Caysasay.